ArmInfo. Minister of Economic Development and Investments of Armenia Suren Karayan with US Assistant Secretary of State for Economy and Business Brian McFithers discussed the agenda of the Armenian-American economic cooperation. In particular, as the press service of the RA Ministry of Economic Development and Trade reports, the sides touched upon spheres that have the potential to expand economic cooperation - in IT, pharmaceuticals, light industry and agribusiness. Suren Karayan noted the growth of trade and economic turnover in 2017, which was preserved in January this year. At the same time, as the minister noted, the potential of cooperation has not been realized in full force. In this regard, it was noted the need to make more efforts to ensure growth dynamics. 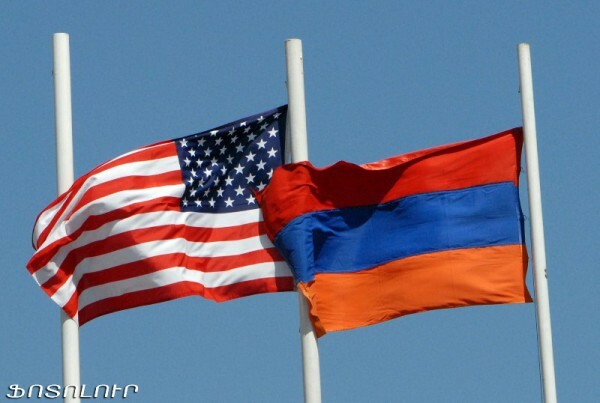 In this context, the sides attached importance to the meeting of the Armenian-American Council on Trade and Investment scheduled for March 19 in the US, during which a wide range of issues to stimulate bilateral trade and investment will be discussed. According to McFithers, his visit underscores the US readiness to fulfill its commitments to revive bilateral trade. "Last year, the trade turnover between our countries grew by 42%, we appreciate Armenia's continued efforts aimed at creating more attractive business conditions and combating corruption." Expanded trade prospects are mutually beneficial, "he said. The interlocutors also touched upon the agenda of the meeting of the Armenian-American Council on Trade and Investment, investment reforms, and the GSP trade regime provided to the US by Armenia. Earlier, ArmInfo informed that the Armenian government plans to address the issue of excluding double taxation between Armenia and the US in March 2018 - during the regular meeting of the intergovernmental commission. As the Armenian Ministry of Finance has repeatedly stated, in any case, the absence of an agreement on the exclusion of double taxation hinders the adoption of positive decisions by business entities. . The issue of exclusion of double taxation between Armenia and the US has been discussed for over 20 years - since 1994, the Armenian government has raised this issue. In 2000, during the Armenian- American intergovernmental meeting, the issue of the need to conclude a treaty was raised. Since then, although preparatory work is under way to conclude a treaty, in fact, the talks themselves have not started. In early February this year. The US Department of Treasury expressed its readiness to discuss the issue of revising the Treaty on Avoiding Double Taxation with Armenia.